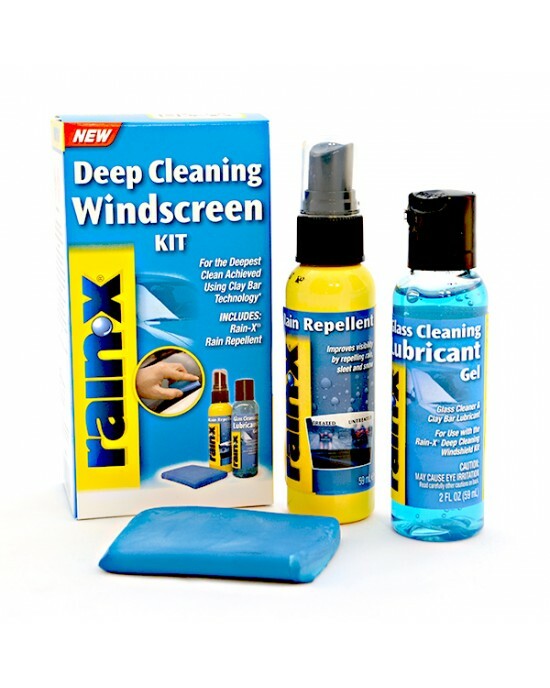 The Rain‑X® Deep Cleaning Windscreen Kit delivers the deepest windscreen clean, achieved using clay bar technology. The Glass Cleaning Clay Bar and Rain‑X® Glass Cleaning Lubricant Gel work together to easily remove dirt, tree sap, bugs and water spots! 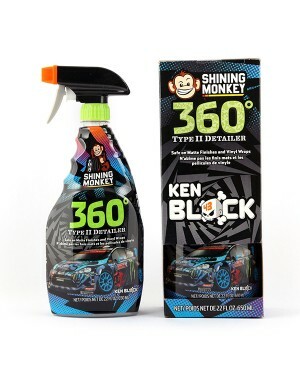 The kit also includes a bottle of Rain‑X® Rain Repellent for use on the deep-cleaned windshield. Rain‑X® Rain Repellent dramatically improves wet weather driving visibility by repelling rain, sleet and snow. Step 1: For best results, clean or rinse windscreen to remove any loose dirt or debris. Step 2: Remove the Glass Cleaning Clay Bar from its package and pour a generous amount of Rain‑X® Deep Cleaning Lubricant Gel onto the clay bar or directly onto the windscreen. The average windscreen cleaning will require about half of the bottle of the Rain‑X® Deep Cleaning Lubricant Gel. Step 3: Rub the clay bar over the windscreen 5 to 6 passes or until all roughness is removed. Check the condition of the Glass Cleaning Clay Bar and reshape if dirty before moving to the next section. 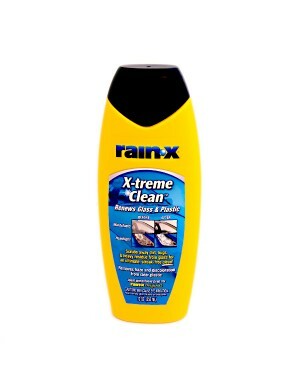 Apply more Rain‑X® Deep Cleaning Lubricant Gel as needed to ensure smooth sliding of clay bar. Note: Be careful not to drop the clay bar on the ground and discard if this happens. Step 4: Remove any residue left on windscreen with a clean microfiber or cotton cloth. 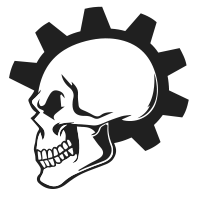 It’s ok if some residue or streaking remains as this will be removed during the next step. Step 5: Finish with the Rain‑X® Rain Repellent Spray the treatment directly onto a clean microfiber or cotton cloth and apply using a firm, circular and overlapping motion. Allow to dry until a slight haze appears. Remove final haze with a clean microfiber or cotton cloth. SÄNK DINA BRÄNSLEKOSTNADER NU! Både bränslesystemet & motorn får sig en ordentlig rengöring samt PTFE-behandling med detta kit! Båda produk..